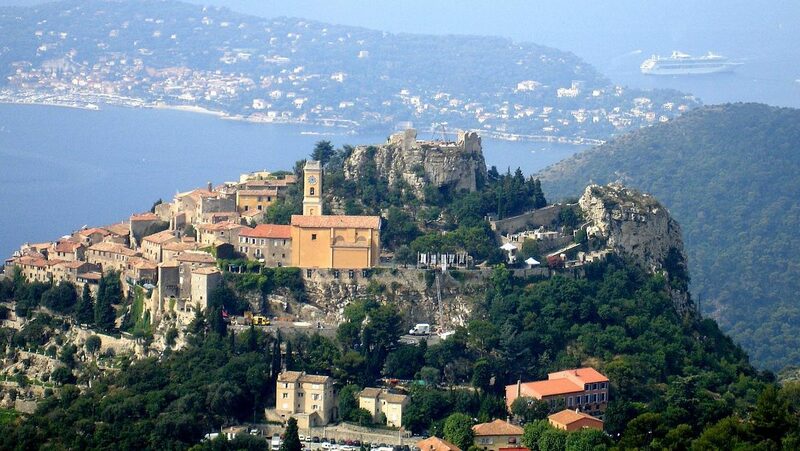 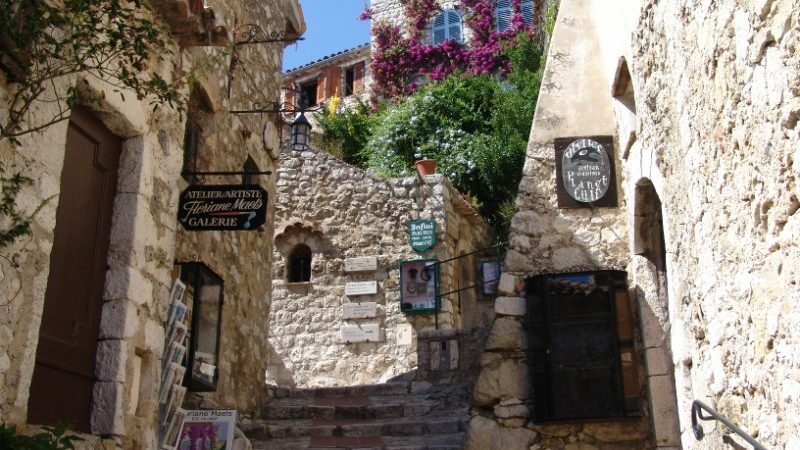 EZE – VILLAGE: Villa located on the road leading to the castle EZA; castle de la Chèvre d’Or. 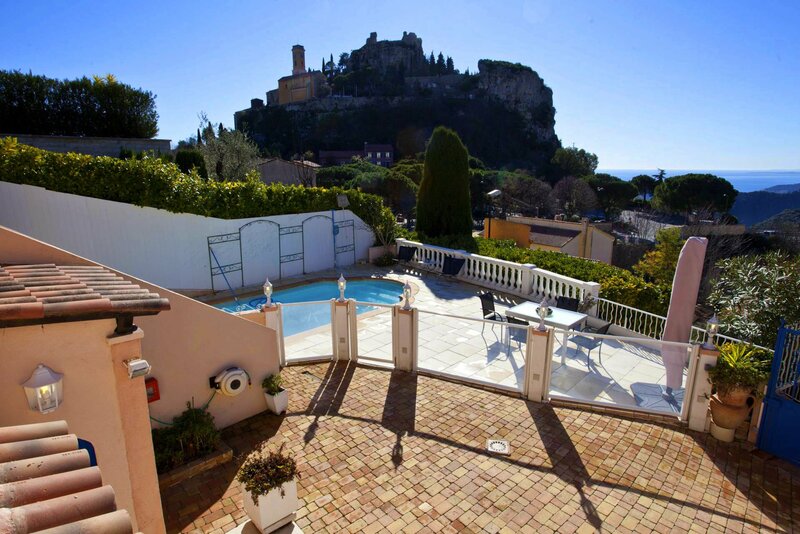 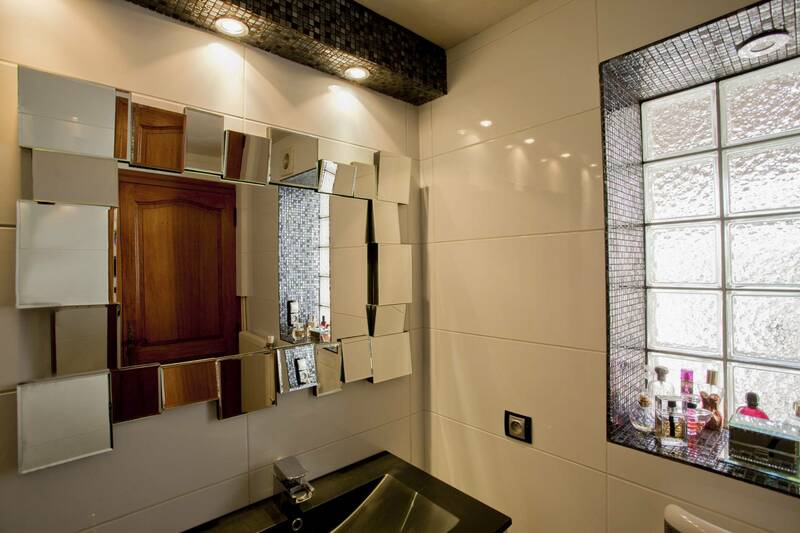 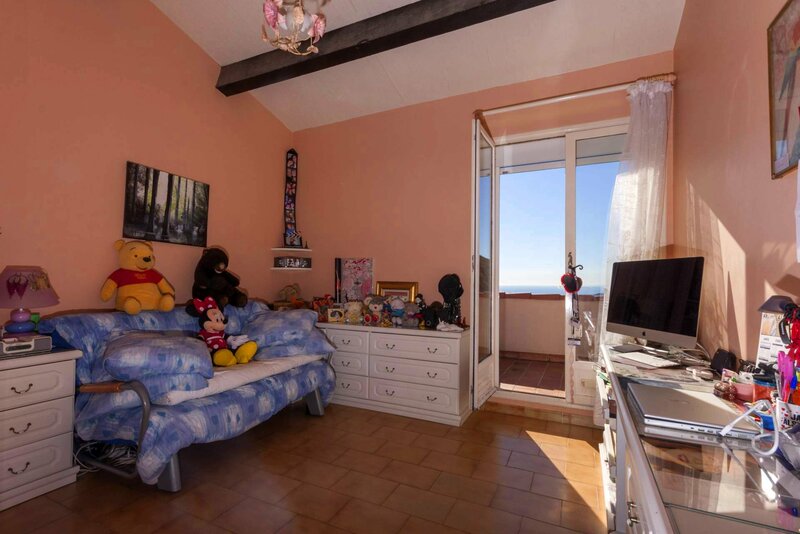 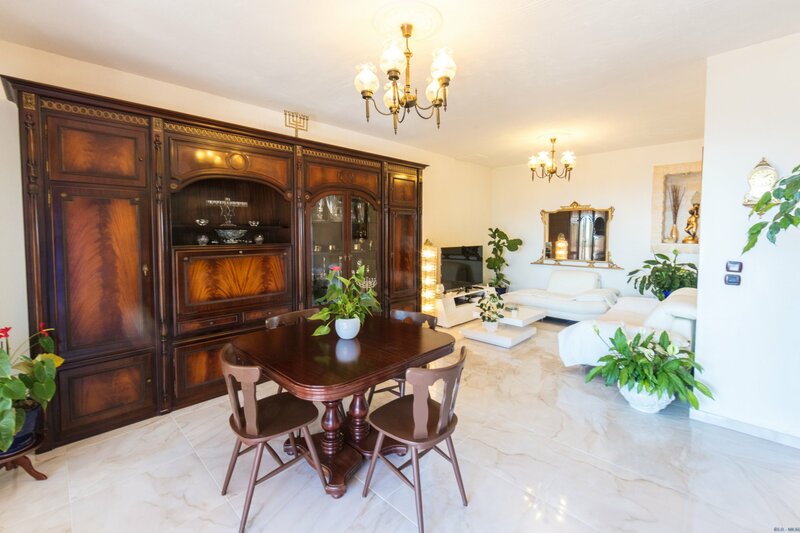 Property in Neo-Provençal style of approximately 155sqm on a plot of 442sqm in the heart of the medieval village. 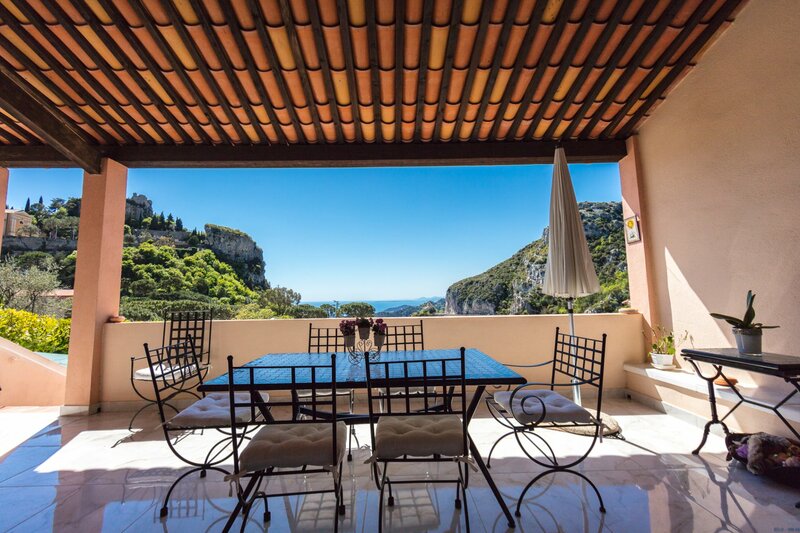 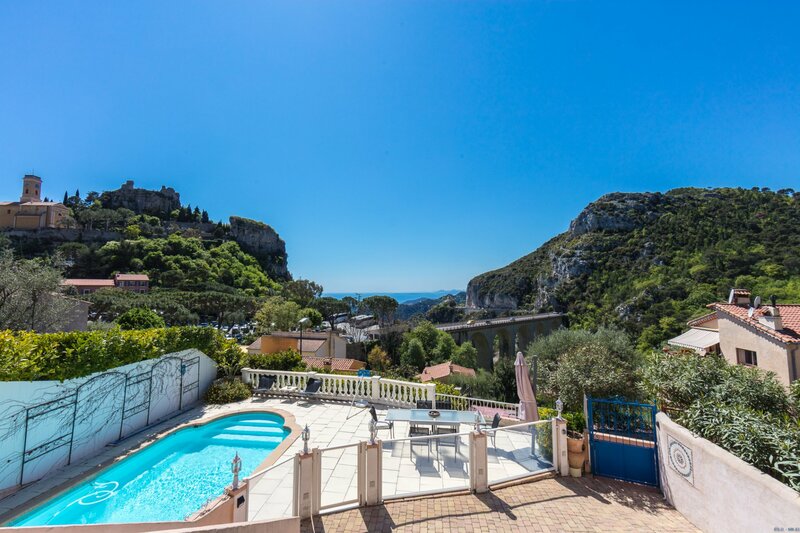 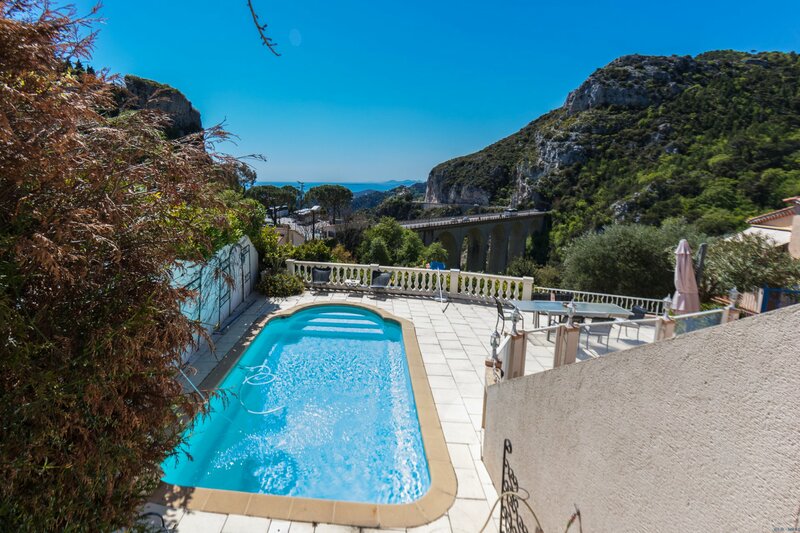 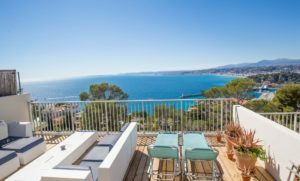 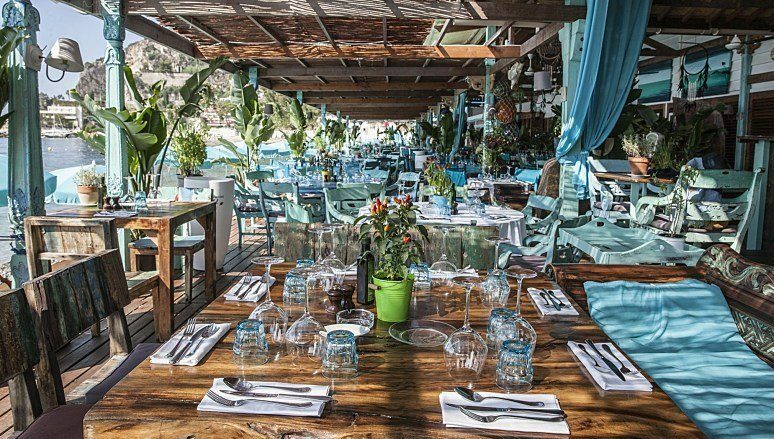 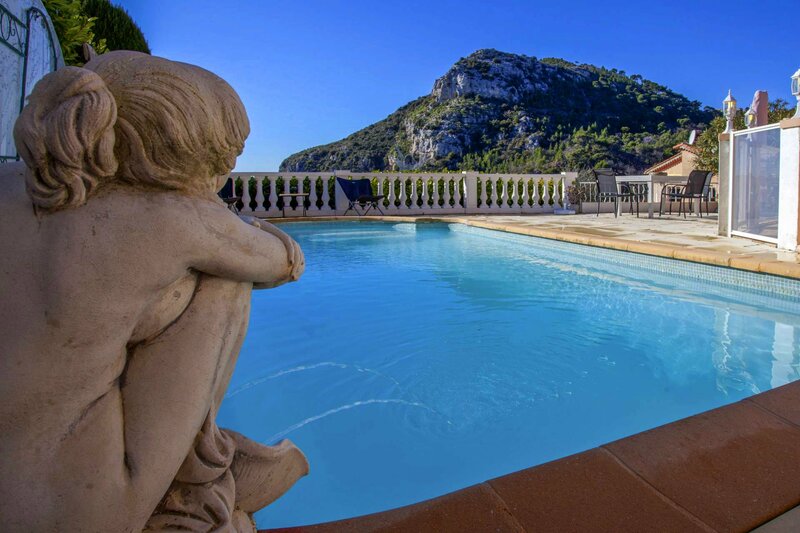 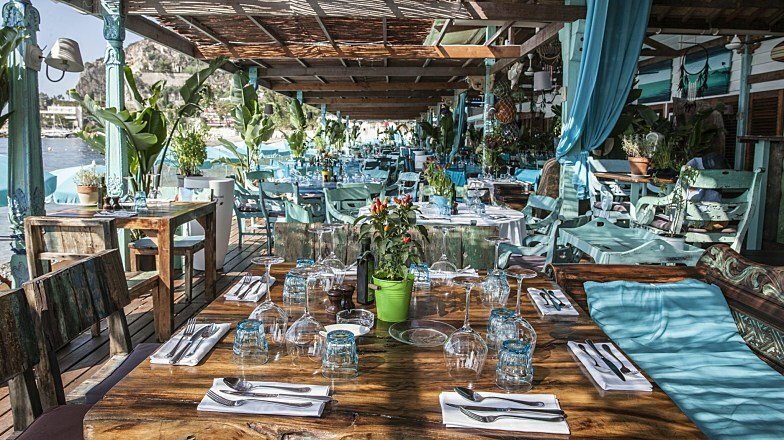 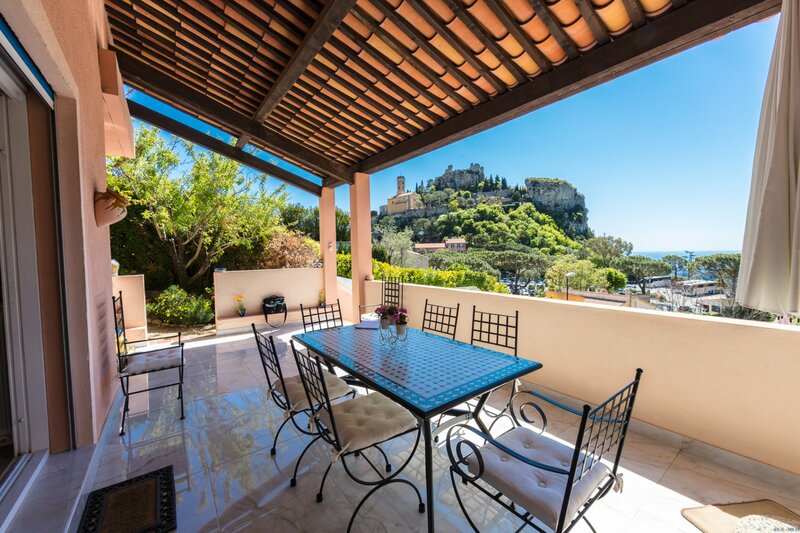 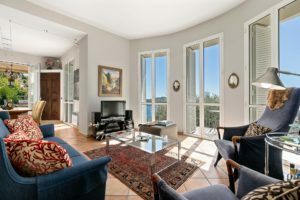 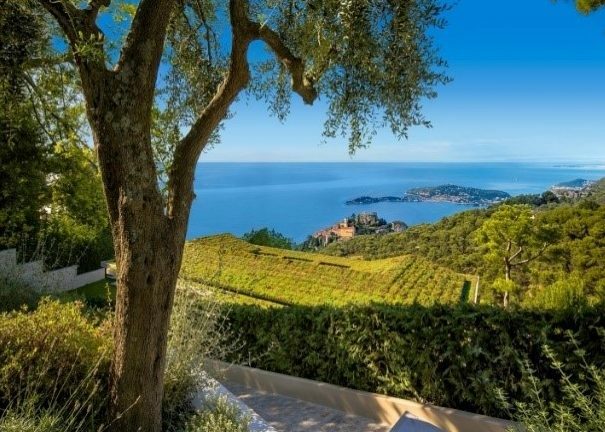 The villa offers a magnificent panoramic view of the rocks overlooking the sea, a sea and mountain view from its three terraces, a full view of Saint Jean Cap Ferrat, Cap d’Antibes and the isles of Lérins. 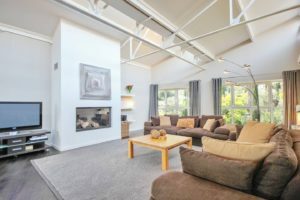 The house has been constructed upon three levels, a ground level with swimming pool and terrace, an independent studio, a bathroom, an office, a small office and cellar. 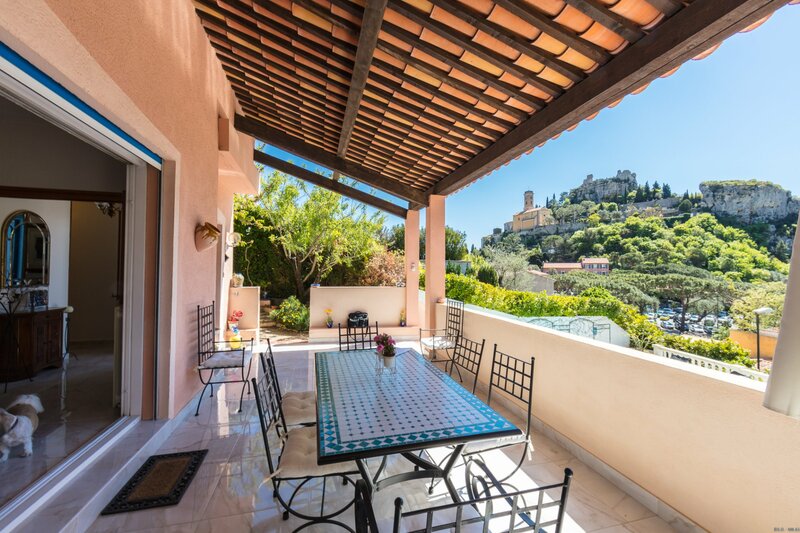 At the garden level, a vast roof terrace, a living room, a double kitchen, barbecue and fruit trees. 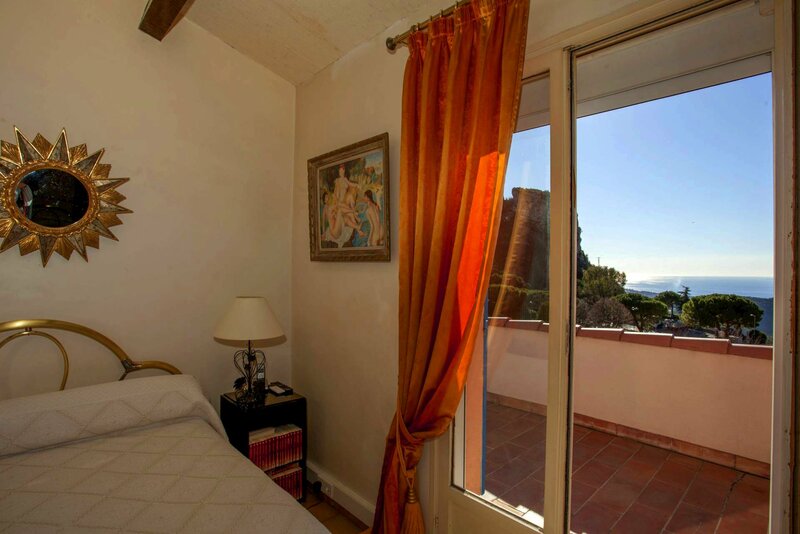 Upstairs, another roof terrace, two bedrooms and bathroom. 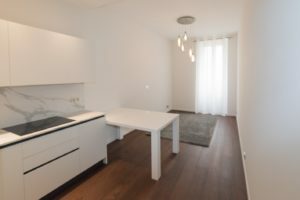 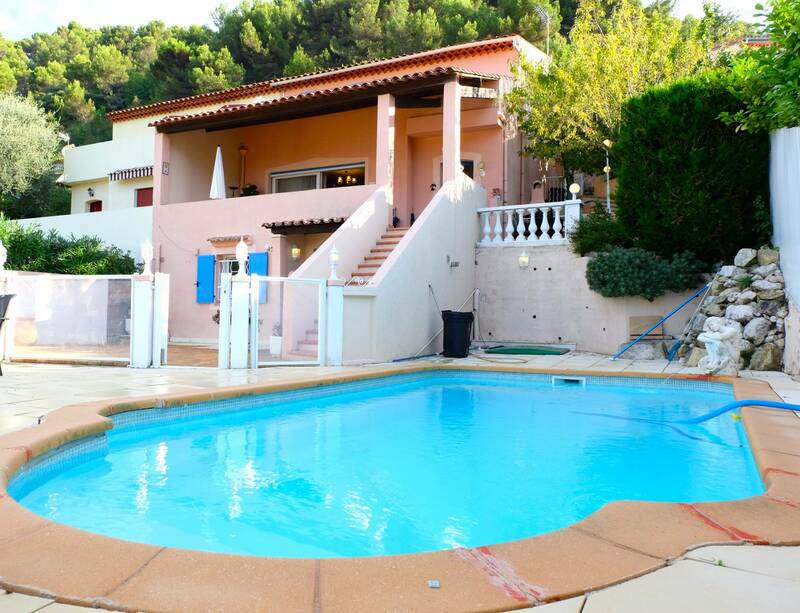 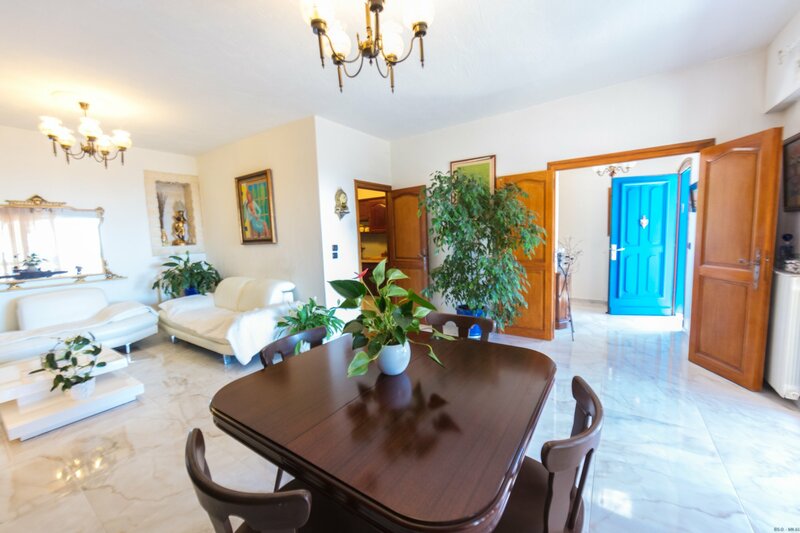 A comfortable place to live, halfway between Monaco and Nice, quiet and secure, near the highway, shops and bus.